With 12 successful cases completed and all patients up and about across multiple wards, the team say their final goodbyes to the local staff. The final day, Saturday, was wrapped up with more ongoing training in the form of practical skill stations and meetings. After the final surgery in the afternoon departments break up into sections to work on relevant cardiac skills. OHI volunteers lead the way with locals and run through; training scenarios, have small lectures, hands on practice. This gives a chance for everyone to talk through the week and cover existing things they have seen and potential other scenarios they might see in future cases when working in cardiac. 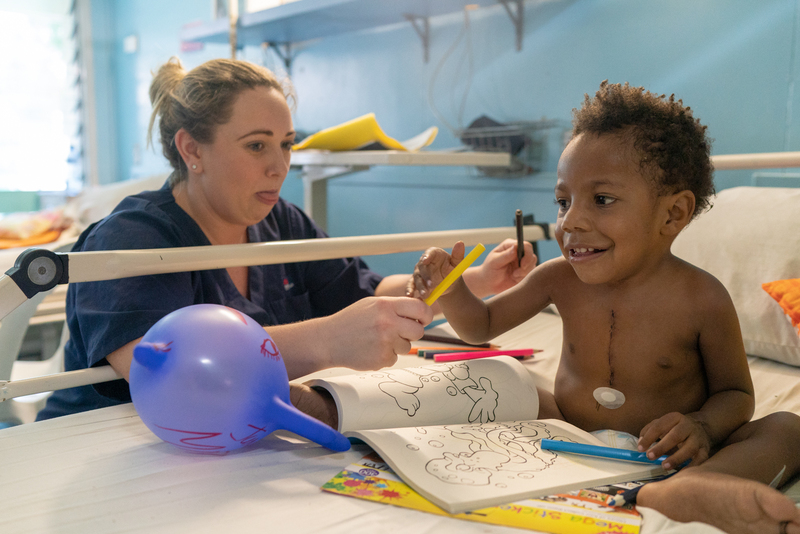 The evening is followed up by a night with Operation Open Heart fundraising team here in Port Moresby. Led by locals, the main core support of the local program and visiting OHI team is through grassroots fundraising and donations via individuals and the local business and corporate sector. With multiple speakers who are crucial to the program through the evening one that stands out is Samuel. Samuel is a concierge here at the hotel the team are staying at and recognised previous team members from his surgery several years ago. Once operated on by locals and OHI he is now working, living a full life and thoroughly enjoys playing sport, especially rugby. Standing up as an example of how the program helps save lives, Samuel shared his story with the audience. 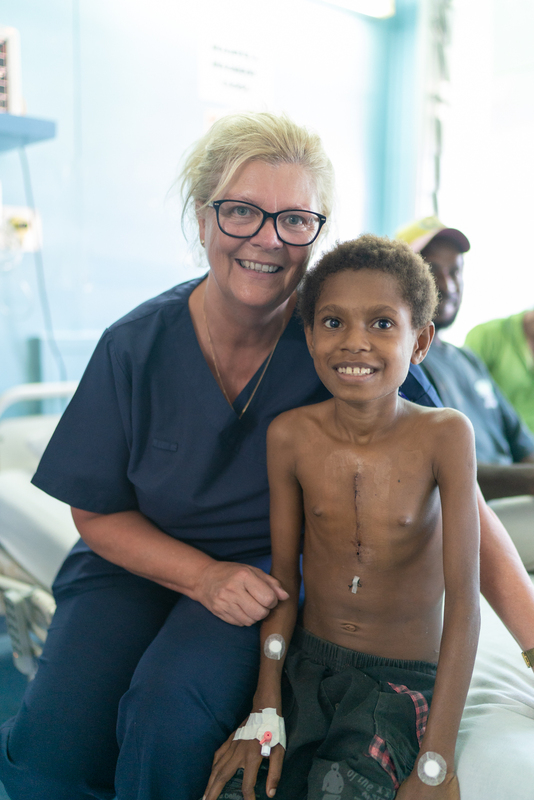 Amazing to see an ongoing result of one of the last 26 years of OHI in PNG and one of the hundreds of patients previously operated on. 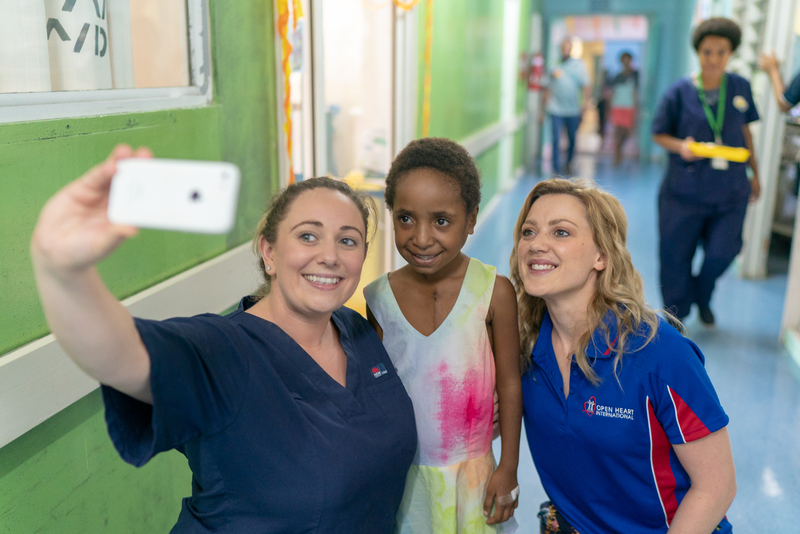 The final night in Port Moresby was an opportunity to say goodbye to local staff members at a dinner and recognise their efforts during the trip. 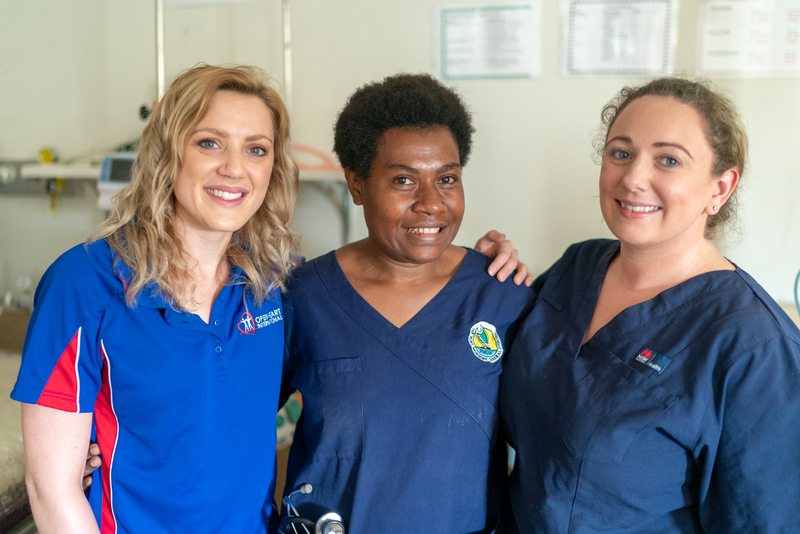 Sam Willis, one of the OHI senior nurses handed out certificates to local staff and local staff handed out gifts to say thank you to the OHI team members. 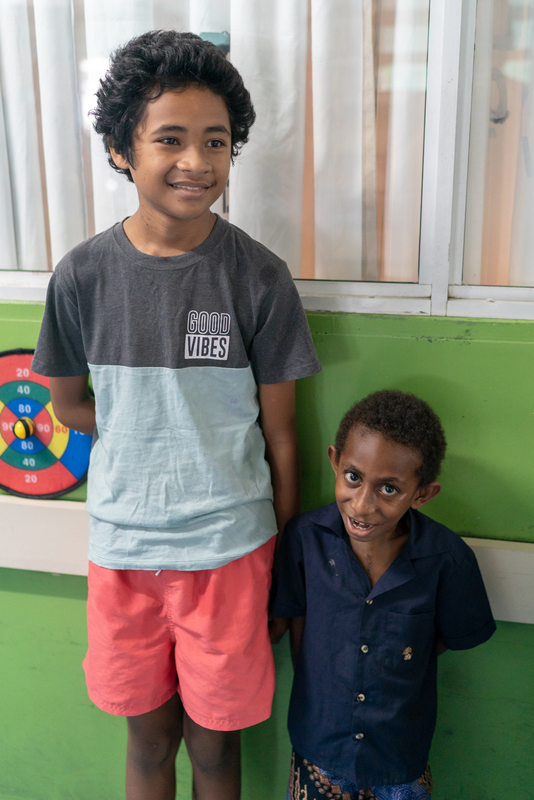 The end of a trip is always many emotions but the ongoing community support with not only the OHI program but local program has the visiting team knowing that the future is bright with everyone here in Port Moresby and PNG. As long as the local program, staff and patients have the community and government behind their goals, OHI knows that the aim of an independent cardiac program here by 2020 is looking fantastic!